K-CUP® COFFEE. The traditional taste of Irish Cream liqueur – smooth and luxurious with a velvety texture. 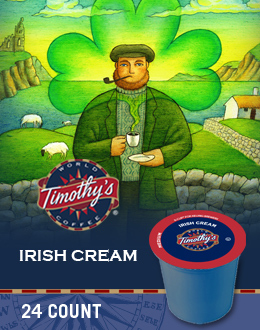 This coffee embodies the character of Irish Cream, which gives it a superb aroma and flavor. A simply delicious choice!